Taipei, Jan. 24 (CNA) The military strengthened its patrols in the vicinity of the disputed Diaoyutai Islands Thursday to protect a Taiwanese boat that sailed there in a move to uphold Taiwan's sovereignty over the island chain, a military official said that day. 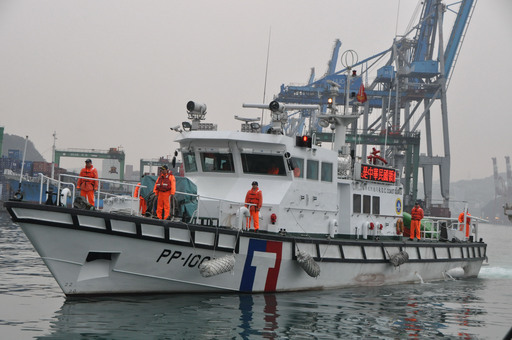 Although it was Coast Guard Administration (CGA) vessels that actually escorted the protest boat to the waters near the Diaoyutais, the military also beefed up its regular patrols in the area, said Ministry of National Defense spokesman Maj. Gen. Luo Shou-he. "The ministry was keeping close tabs on the situation," Luo told CNA. Air Force planes and naval vessels were deployed in an effort to strengthen the patrols and provide further protection for the protest boat, military sources said. The boat headed for home around Thursday noon after a face-off with Japanese coast guard vessels in waters near the Diaoyutais earlier that day, the CGA said. The face-off took place 28 nautical miles from the islands when the boat was blocked by eight Japan Coast Guard ships as it was attempting to approach the area to assert Taiwan's sovereignty over the island group. The area is a traditional fishing ground for Taiwanese fishermen. However, there have often been reports of Taiwanese fishermen being chased away from the area by Japanese coast guard ships. Territorial disputes over the area have escalated since the Japanese government bought three of the islets in the group from their private owner last September in an attempt to reinforce its sovereignty claim.